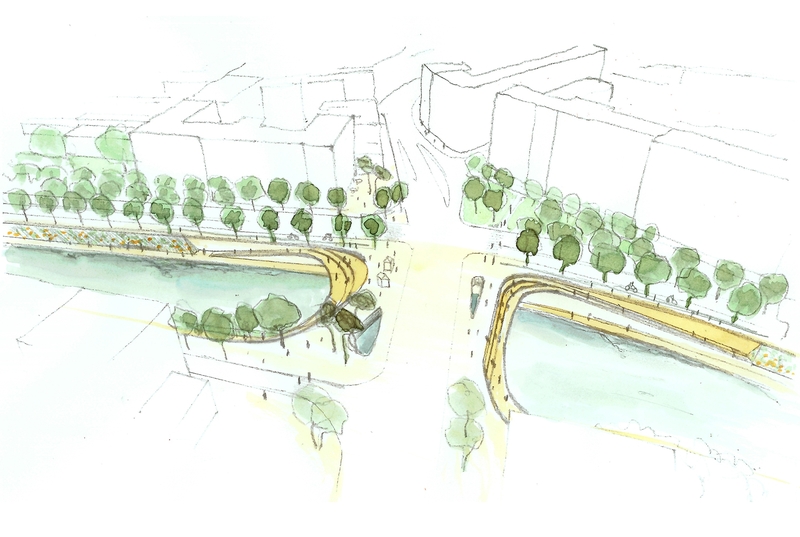 The project is about acknowledging the presence of the Svratka river as an asset, a dynamic driver to regenerate the area and potentially transform it into an economic, cultural and social hub as well as an ecological and leisure park. 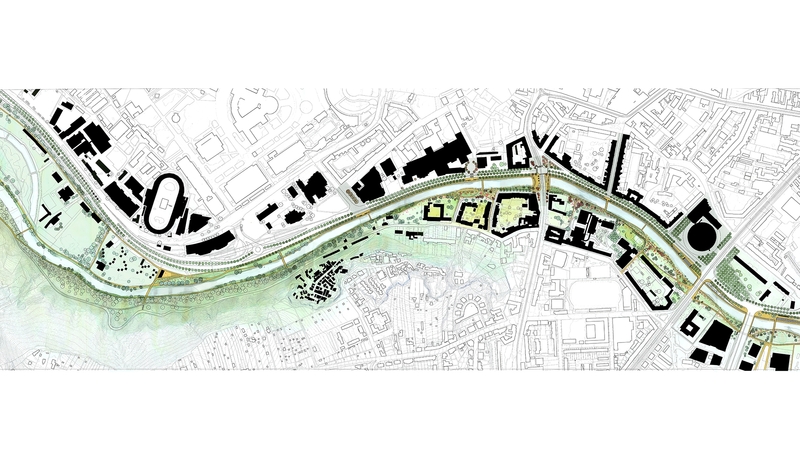 On one hand, the river is an exceptional opportunity for the city to redevelop the adjacent districts into a new type of coherent and sustainable urban development, using the river setting as their main identity. On the other hand, while the city expands and gets more and more urbanised, there is a growing need for open spaces and expansion area for the river to control and limit flooding issues. In this context, a river park would present itself as an ideal new type of open space for the city. 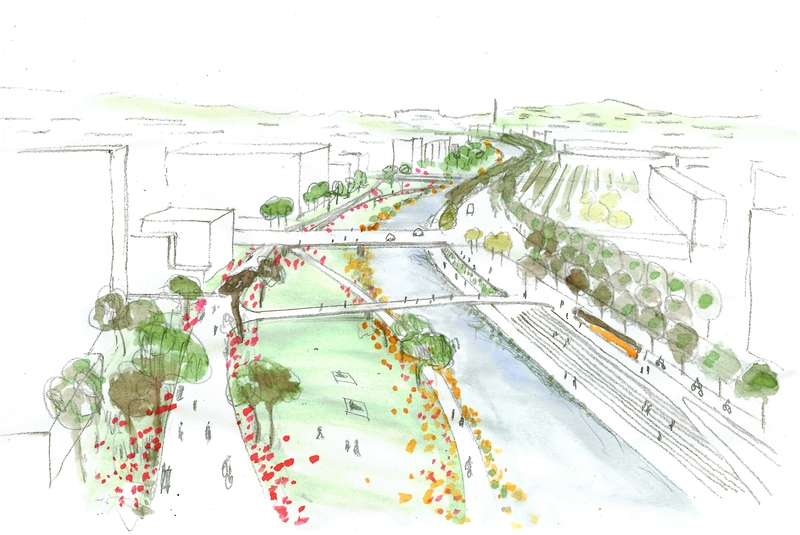 Opening the river to the city and opening the city to the river, connecting urban and natural settings intimately, developing the strategy for active and passive usage of the river and river banks, creating transversal and longitudinal continuity across and along the river, this is what this project is about. Two typologies of banks are defined: the left bank as an urban waterfront, the urban promenade, and the right bank as a softer and greener river bank, dominated by the presence of a river park, large open space at the city scale also providing local parks for its adjacent districts.